Remember my post about my Summer Porch Decor? That post included a blog hop – did I mention that the hop will be taking place monthly? Well, it’s been a month already and it’s time for another one 🙂 This months theme is pillows, which I am covered up with most days! 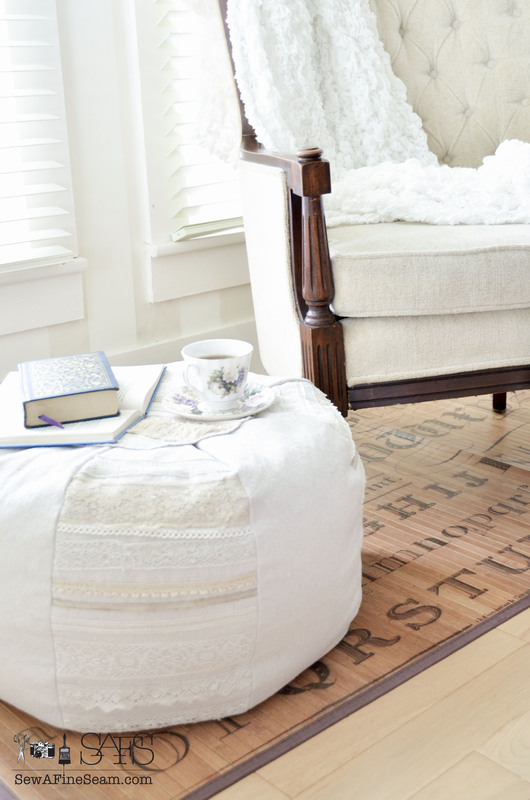 I decided this would be the perfect opportunity to bring you one of my newest designs. The design is made with a two part stencil, the main body of the truck is stenciled on first and when that part dries I add the detail with the second part of the stencil. You can find this idea all over pinterest in some form or another, it’s not original to me. I did ask my designer to make me an artwork that was more detailed and fun than what I was seeing already out there. He suggested the 3/4 view instead of a front or side view. And I think he did a wonderful job for me. I was a bit concerned at first that it might be too detailed it to turn out right in a stencil, but I managed and I’m thrilled with it. The flowers I cut out of scraps of fabric that I save from making my line of State and Home pillows. A few quick stitches on the white centers attaches them nicely. Gives a bit of a 3 dimensional look to the pillow. The dark blue truck is my favorite so far. 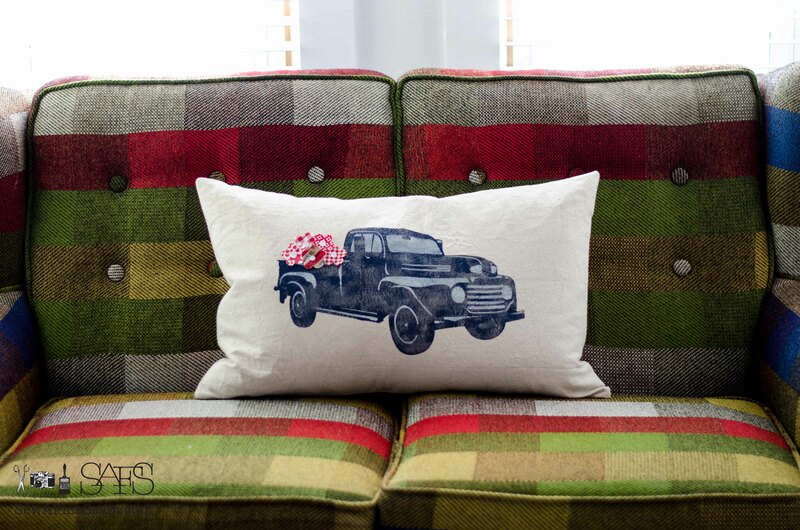 I’ve also made pillows with trucks in yellow, red, green, and black to take to the event I’m setting up at this weekend. If you need instructions on how to make an envelope closure pillow you can find my tutorial here. I thought I’d share the Mr. and Mrs. pillows that I just made too – this time I made the bikes a fun, cheery aqua color. 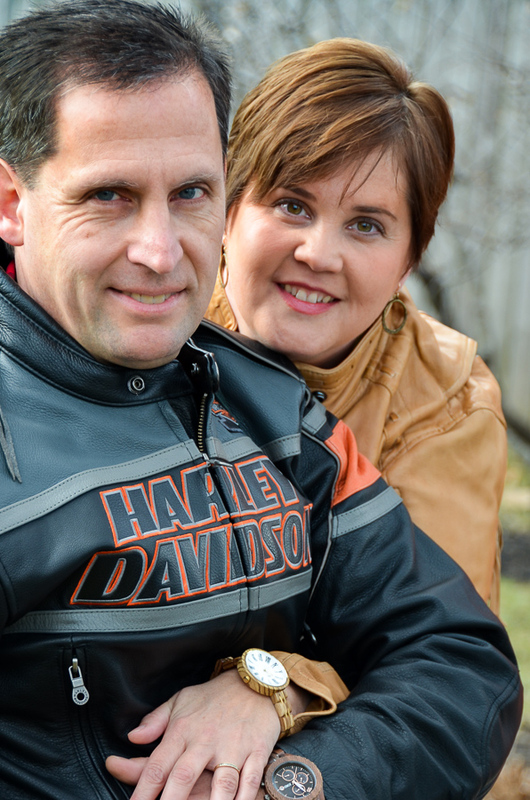 The guys bike seat is detailed with genuine leather and the flowers in the girls bike basket are made from fabric scraps an stitched on for a fun, 3-D detail, just like the truck. 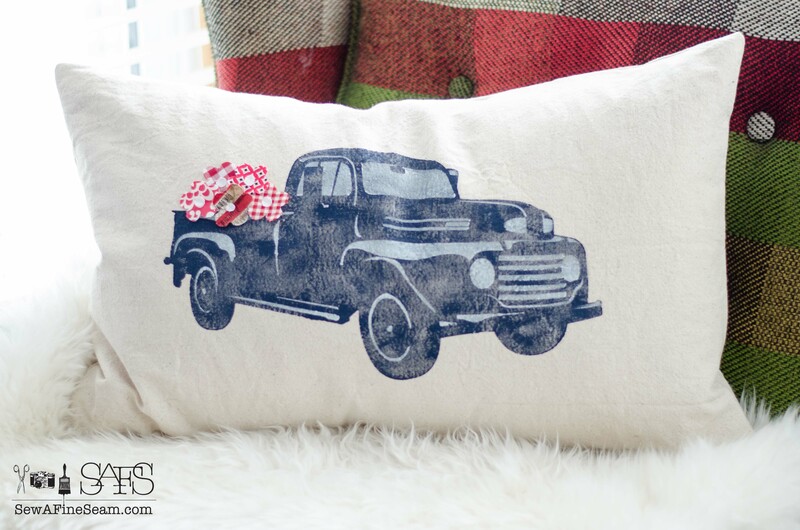 And now, hop on over to my friends posts and see what they have come up with for the pillow category! Very sweet! 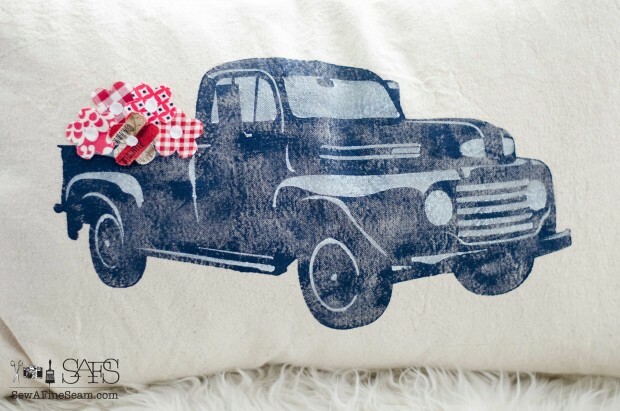 I love the look of a stenciled pillow and the truck is just darling! Oh my goodness Jill. I love your pillow! 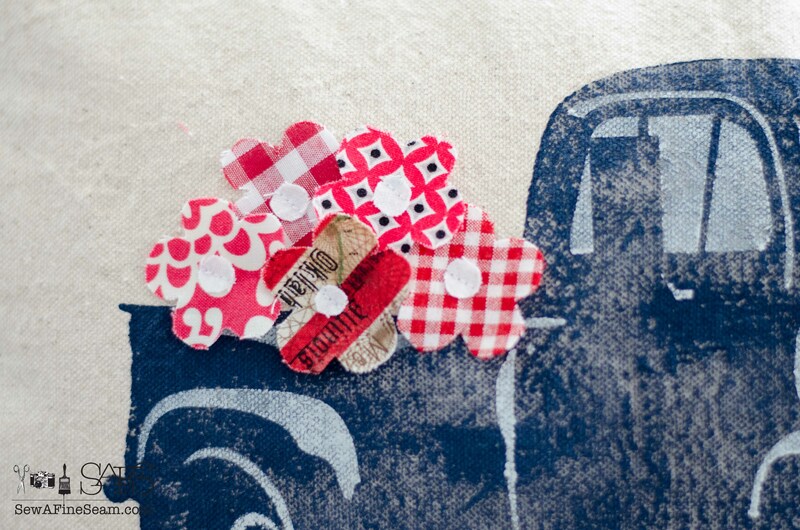 The truck, the flower made of scrap fabric…perfect. Thanks Kristi – these were really fun to make! How cute is this!!! I love the stenciled truck the flowers added is absolutely adorable. Thanks Tammy 🙂 The flowers in the truck idea has been done a lot lately but it was still fun to create my own take on the idea and I’m thrilled with the detailed truck my designer came up with for the design. These are just great Jill! I love the truck but the bicycles are also nice. I’m moving Aug. 7 so I think I’ll wait until I’m settled in my new home before I order anything right now. 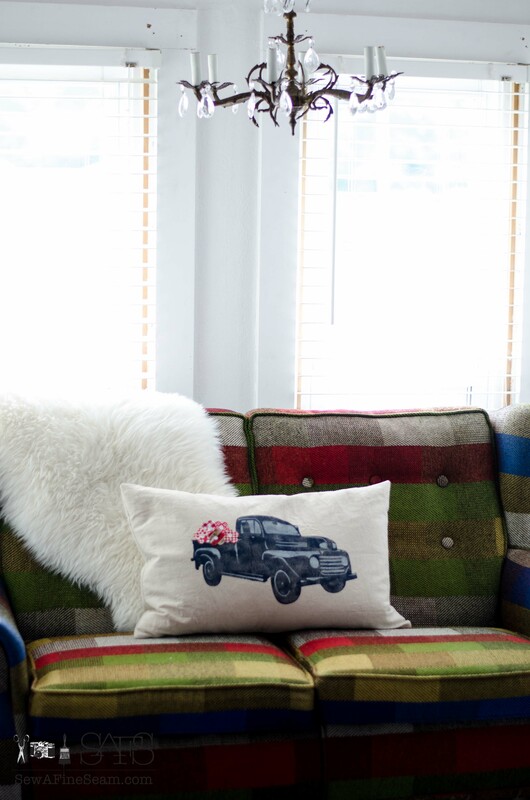 My husband and son-in-law would love the truck pillows and their birthdays are both in Sept.
How ingenious, Jill. 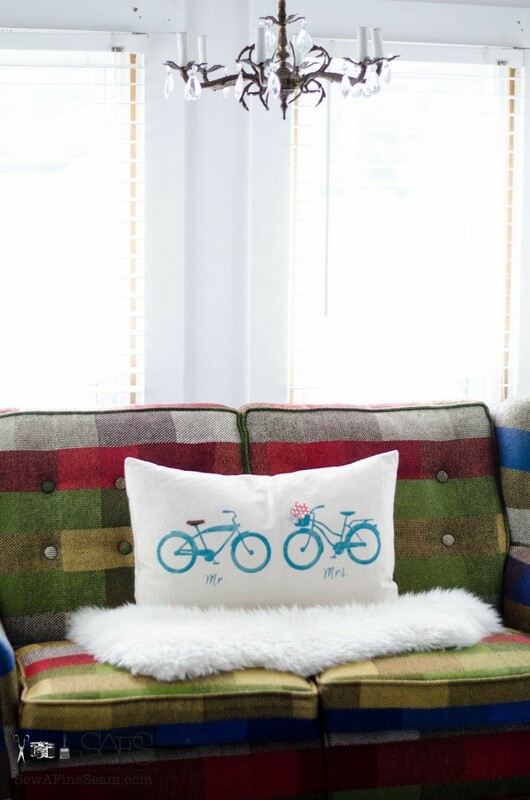 Love these pillows. I’m packing up my belongings to move to another area so will wait on ordering these. They would also be great Christmas gifts. Everyone comments on the pillow you made me a few months ago. I’ve told them where to buy it and your other pillows. Sorry about two replies but I thought the first one didn’t post. 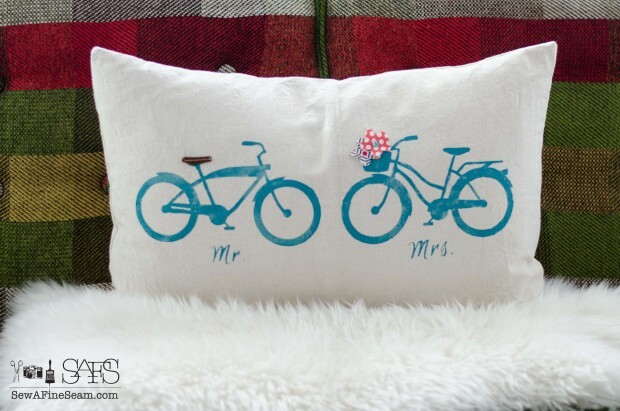 I love both pillows but believe the bicycles are my favorites!! !